Dora on the left and Chris on the right. 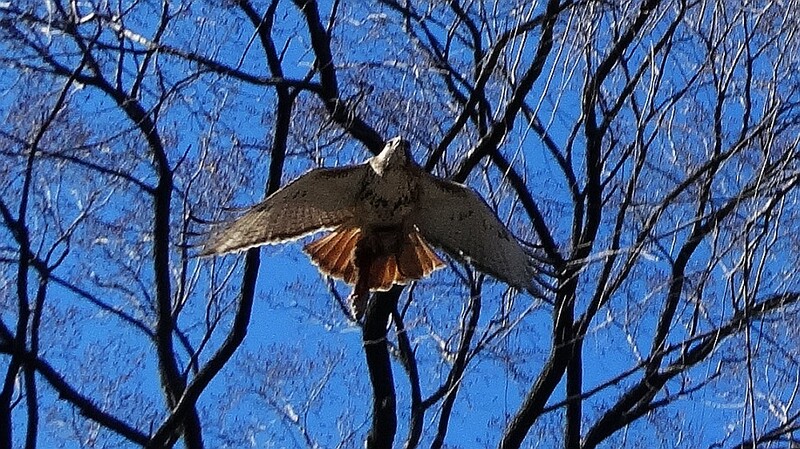 I can only tell because the female Red Tail Hawks are larger than the males. Her plumage is a bit darker on her belly, which may aid in identifying her when Chris is not around for a size comparison. Chris bringing a rat present for Dora. My bird watching friend, Loy, tells me this makes him a good mate. 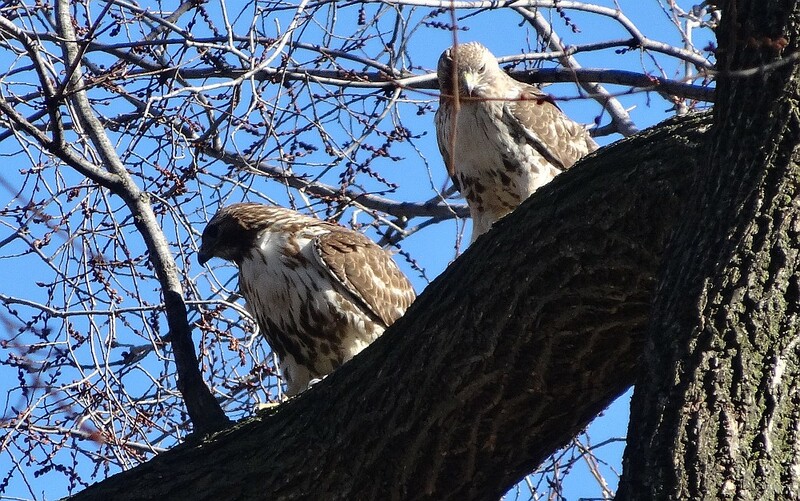 They’ve gotten the name Chris and Dora because they are nesting on the Christadora building on Avenue B, across from Tompkins Square Park.